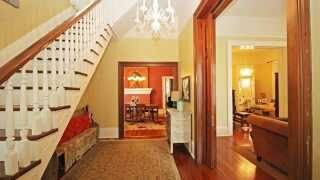 Amazing two story East Lake Victorian home built around the turn of the century in historic Algiers Point. The land was originally part of the Duverje Plantation and the house has a great history. From single family home to rooming house for WWI soldiers, from being featured as part of the Painted Ladies tour sponsored by the Preservation Resource Center back to the stunning single family home it is today. Located only 1 block from the Algiers/Canal Street ferry, the property backs up to historic Algiers Courthouse. 214 Delaronde St. New Orleans LA | SOLD!